As modern high pressure hydraulic systems get more and more refined, there is less room for tolerance of even slight fluid contamination. Tiny dirt and grit particles can abrade important hydraulic components and ultimately ruin them. Fortunately, you can protect your hydraulic components from contamination by investing in high-quality Parker hydraulic filters in Fontana CA. When you purchase Parker hydraulic filters in Fontana CA, you can protect the precision of your hydraulic system and keep contamination locked out of your important hydraulic parts. You can get even more protection for your equipment by also purchasing Parker fluids. Parker’s DuraClean hydraulic oil is especially popular, because it features exclusive additives that can maximize both anti-wear protection and oil life. It can be used in most systems that require mineral-based oil. 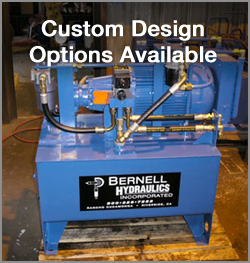 If you stop by Bernell Hydraulics, our expert technicians can help you determine if switching to DuraClean and Parker brand filters is a wise move for your hydraulic equipment. We can use our fluid analysis tools to see if your fluid needs changing or topping off, and we can even install your new filters for you. If you prefer that we come to you, just call our mobile repair service and place your order.